Smyth Scene & Co, over a relatively short period, has diversified into a wide range of activities. For teachers, this makes life constantly varied and it obliges us to up-date and stretch ourselves professionally in interesting and productive ways. It means that the company can bring a wide number of solutions to clients, the majority of whom are directed to us by word of mouth: we cater for all ages, from toddlers up to on-going education. And, for our company, it means constant invigorating innovation to comply with the surprising challenges that may come through our door,call down the phone or be scrolled down from Internet at any moment on any day. It is that dynamism that stimulates us to respond to the complex needs of the world of today. On our “Grow with English” pyramid, you will see that we offer immersion in English from one year on into early secondary education. This covers learning through play ( not baby minding ), primary school support, Young Learners Cambridge examinations and the start of the main-suite Cambridge KET and PET programmes. But this area may also include an introduction to the Spanish, French or Italian languages; help in academic subjects such as mathematics, art or the sciences; and/or preparation for schools abroad. The “possible variations” are many. The “Mature with English” and the “On-going Education “ pyramids take us through the academic world of mid- and upper secondary education and into the fields of university and professional education and the adult world – a vast area. Step one is the mid-secondary section. Here, students need, of course, – it almost goes without saying – to consolidate a good intermediate level in their native language and, at least one or two foreign languages.The language of numbers – mathematics -must be clear and students must have a basic grasp of the individual sciences.Reading needs to be fully developed in all languages and a knowledge of the styles of written communication is vital. Conversation is an art which, despite the common belief, must be learned. Listening skills have to be constructed from the base up. The individual grammar of each language must be well known and a comparative study of how these grammar structures work in the variety of languages learned is of much greater value than is generally thought. 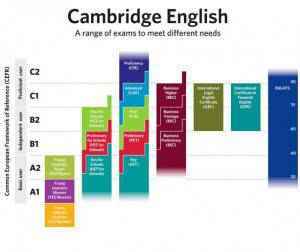 The examinations taken in English at this level are usually PET and FCE and the corresponding levels exist in the other languages. Smyth Scene makes available the teaching of all these skills and they can only be perfected through practice. Apart from the normal course, there are holiday periods, mid-terms and long weekends that can be taken advantage of – to recover lost time or catch up on the general progress of peer groups. A solid basis here is fundamental for the building of the rest of our education for life. This fact cannot be sufficiently underlined. Step two moves into larger realms. Upper- secondary students face the corresponding official examinations in their own systems (British System: GCSE/IGCSE-16 year olds, AS/A levels -16 to 18 year olds ). The English As A Foreign language examinations ( a completely different system ) usually taken are: Cambridge First Certificate, Advanced and Proficiency and their equivalent in other languages. The American system asks for TOEFL and GMAT(in the University). School academic subjects on demand range from languages to mathematics, the sciences, art, philosophy and so on. At the same time conversation skills are enlarged into the techniques of debating, invaluable in many areas of learning. University students also need support in their specialist subjects at times. They certainly need language programmes and certification (the Cambridge etc. exams above mentioned) for the world of work and to give them access to post-graduate studies or higher studies abroad. Smyth Scene caters for this variety of demands when the right teacher is available at the right time: it is a matter of ethics. However, it is rare that a student cannot be helped in some way. The satisfaction is immense when doors that have been closed are reopened to a student by a team of teachers working in harmony. Other students may carve out new paths not thought of before. Some students may cover courses that, in conventional education may take three times as long,, in one third of the time, generally working on a one-to-one basis. But the biggest satisfaction is to make someone believe in him/herself again and to feel the strength of the conviction that they CAN. It is difficult to live without that illusion. Students who regain it inevitably go on to reach success. Step three is the adult world and on-going education. These students may (a)have left school without senior studies, (b) these studies may be rusty, or (c) the studies may need to be perfected and/or new ones initiated for work, fun, culture or because of insecurity in the ever-changing world of work. Some students may have to redirect their paths in order to reach new heights. Nothing is impossible and it is never too late. We are very proud of our youngest student who is one and our eldest who is ninety-two. In section three too, there is our attention to companies. Companies offer their staff the stimulus of languages or share some of the cost or do not help financially but do make the use of their installations available to staff at various hours during the day. The company benefits, the staff benefit and relations at work benefit. Classes possibly available in our centre, in companies or at home, according to the specific conditions. – English, Business English, Legal English, Medical English, Drama / role play. – French, Business French, Drama/role play, Debating. – Intensive classes: one to five hours several times a week or daily. – English for Spanish teachers. – English for the unemployed ( very special rates ). We hope there is something to cover your needs here. Special note needs to be taken here of the Spanish classes for foreigners – an essential aid for newcomers, those working in Spain and, especially, for those who teach English as a Foreign Language in order to enrich the understanding of the similarities and differences between the two languages. 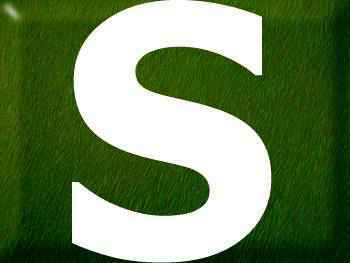 With the growth of the idea of bilingualism, Spanish teachers of English are encouraged to have international certificates to strengthen their in-depth knowledge of the language ( see the European certification of languages – A2, B1, B2, C1, C2 ) .Those unemployed may use this parenthesis, hopefully, to obtain a qualification in English that is now so essential in work today. Here, Smyth Scene has reduced prices to the lowest limits and will award certain prizes for progress. You may now understand why daily life is not dull in a small place like Smyth Scene. And we are always prepared for the door to open and a new challenge to appear. There were two reasons for our first opening – to do things as well as possible and both to enjoy doing them and to bring enjoyment. We will continue to aspire to those ideals.